Click the button to try our 10 day free trial to see how easy it is to build your own website. If you like it (and we know you will), it is just $49 to activate, and $29.95/month. Now that's a deal! Hundreds of great looking templates to choose from. But your not limited to just our templates. Easily create your own style. You can add you own logo, color scheme, images and more! Add YouTube videos, PDFs and other media files. You get a FREE domain name in the format name.snapmonkey.net and you can opt to set up your own domain name (e.g. name.com) on your site. 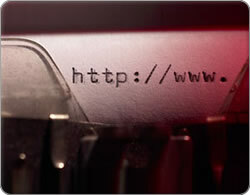 Click here to see how easy it is to get your own domain name without snapmonkey.net in it.